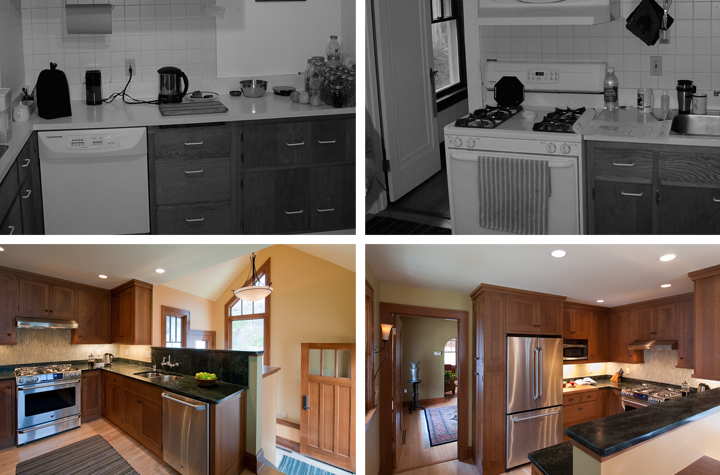 Our team opened up a cramped kitchen in this older bungalow home by re-routing the flow through the kitchen to the back entry to the new deck. 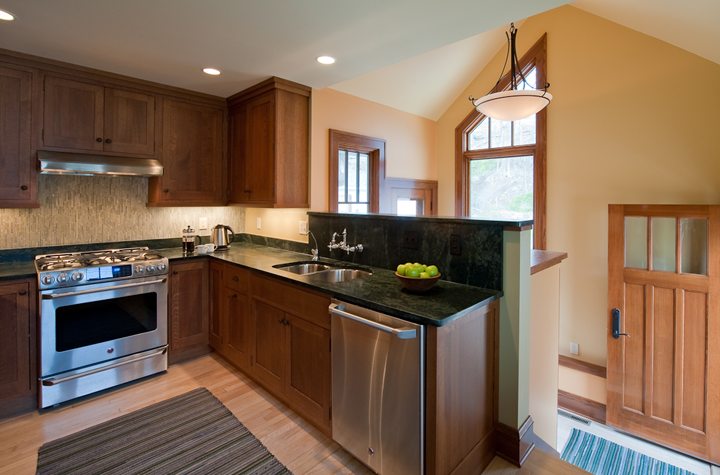 We turned a staircase around and replaced the traditional windows in the back entry with tall oak-trimmed windows, custom-made to fit under the high peaked ceiling to let the natural light shine in. 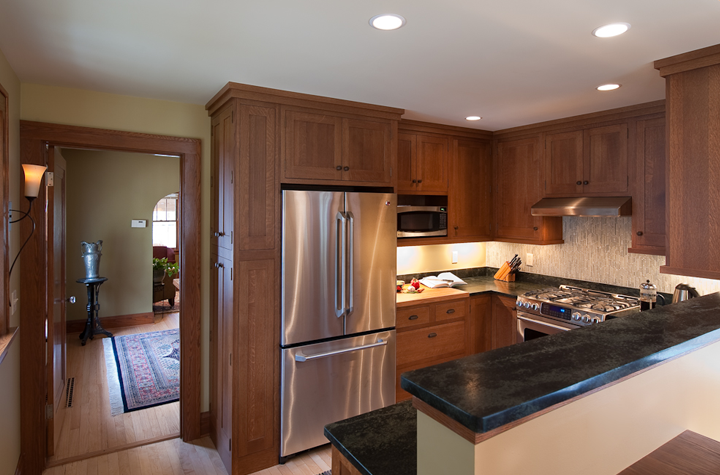 We combined modern appliances with traditional oak cabinetry, soapstone counters, and farmhouse-style fixtures for a warm and welcoming space.